The main work at the 2018 Winter Orchestra Workshop will be the Symphony No. 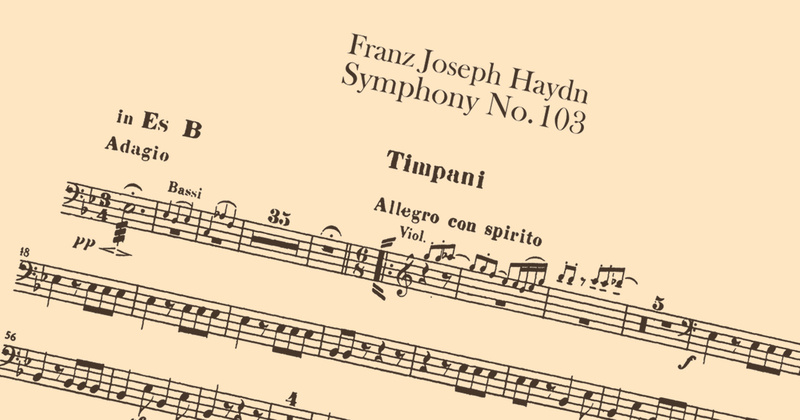 103 in E♭ Major (“The Drumroll”) by Joseph Haydn. For practice, we have mirrored the public domain parts hosted by the IMSLP Petrucci Music Library. These are the parts printed by Breitkopf & Härtel (Leipzig), then reprinted by Edwin F. Kalmus (New York).